Claman on Call: FBN’s Liz Claman with an after-hours web exclusive on the markets, oil prices and Alphabet’s earnings report. Stocks fought back Monday, erasing triple digit losses to trade positive ahead of the closing bell. In the end, though, stocks ended flat. 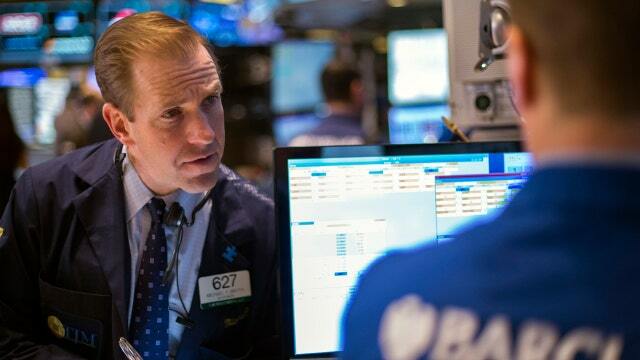 The Dow lost 17 points, the S&P closed down less than a percent and the Nasdaq gained more than 6 points. Oil was to blame for the earlier losses, marking its first drop in five sessions as economic data made investors wary on outlook for energy demand. Crude settled down at $31.62 a barrel. Oil had gained almost 11% from the prior four sessions. Google reported earnings as Alphabet (NASDAQ:GOOGL) for the first time Monday. Shares soared after hours, helping the online giant to surpass Apple (NASDAQ:AAPL) as the most valuable company in the U.S. Alphabet reported website revenue of nearly $15 billion, while ad revenue hit $19 billion. It was judgment day for hardwood-flooring retailer Lumber Liquidators (NYSE:LL). The stock closed up 3.5% after a U.S. judge accepted the company's plea agreement for violating the U.S. Lacy Act and importing illegally sourced plant products. The company was fined $13 million and will be on a probation period. A hat trick for McDonald's (NYSE:MCD)! The fast food giant hit its third lifetime high in a row Monday, making it the eighth consecutive day of gains. McDonald's closed up half a percent; It's the only stock in the Dow to hit a lifetime high in 2016! The little blue bird soared high Monday. Shares of Twitter (NYSE:TWTR) jumped on potential takeover chatter. The stock closed up more than 6%. Silver Lake has since said they have no interest in buying the company.